Located in Roxbury’s Egleston Square, on a busy inner-city corridor, this visible brick and stucco building had been idle and in disuse since 1986. 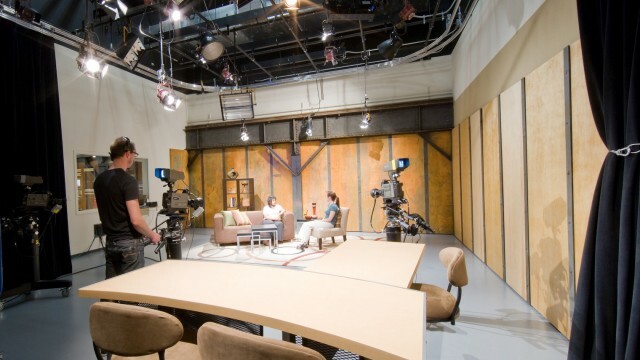 Urban Edge, a local non-profit developer, and Boston Neighborhood Network TV purchased the abandoned MBTA substation to renovate for use as a community access and educational TV studio and to serve as a cultural anchor for this struggling community. 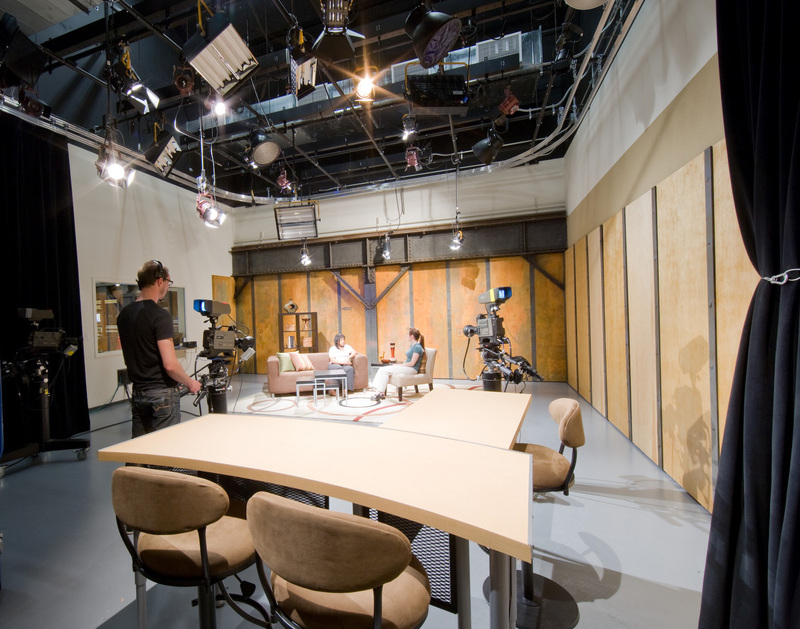 Scott Payette Architects was engaged to produce a vibrant and creative high-tech television environment while preserving the historic exterior and crafting a LEED Certified building. 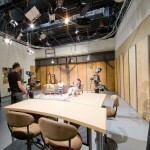 The project was conceived as a creative and “green” studio environment that engages people, history, and media technology in accessible and constructive dialogues. 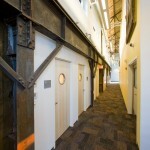 The design approach retained much of the historic building fabric. The exterior brick and stucco, wrought iron fences and copper windows were all restored according to National Park Service Guidelines. 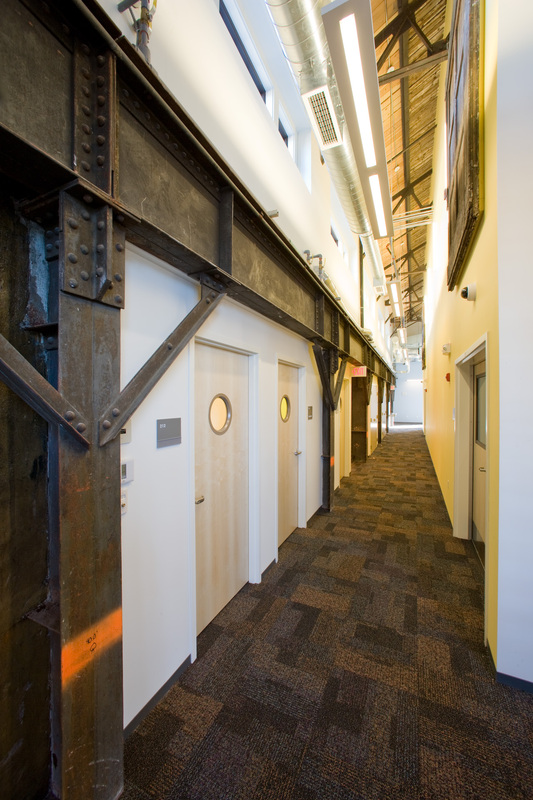 The original exposed interior steel structure, wood roof deck, and windows were retained. 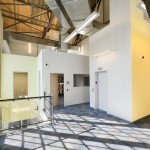 New elements and new materials were added as complements and counterpoint to the existing industrial architecture. 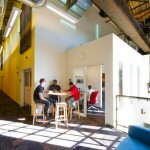 Glass walls, light wells, double-height, and triple-height spaces were incorporated in the design to preserve the aspect of the original structure, to allow natural light to penetrate deep into the building, and to generate an open and interactive “studio” environment facilitating visual interaction between staff and visitors. Two geothermal wells were drilled to reduce reliance on fossil fuels and to eliminate the necessity for noisy and visually obtrusive rooftop or site-mounted mechanical equipment. 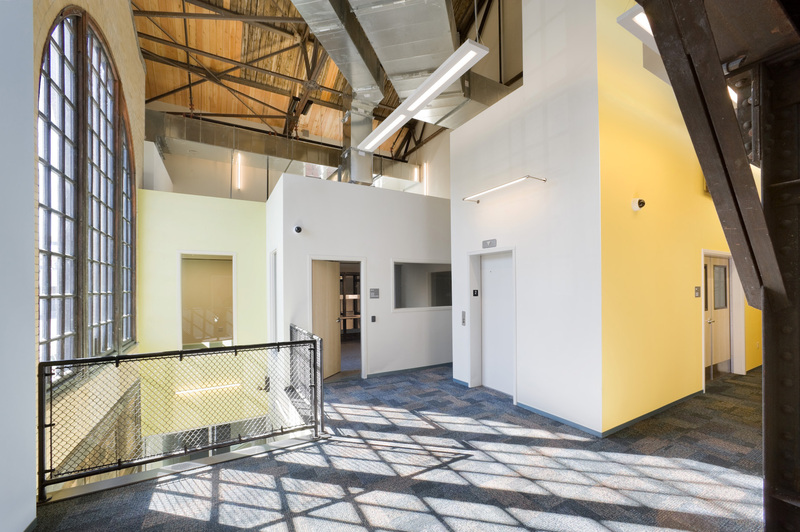 Energy- and resource-efficient systems, fixtures, and building materials were used to reduce the buildings carbon footprint and lower long-term operating costs. The project has received historic tax credits from the National Park Service and received LEED Silver.